Europe is at its best in summer. Long sunny days, and short balmy nights. But it also means there are plenty of other tourists vying for the same spot on the beach as you and an overwhelming amount of choices about where you should head for your summer vacay. While I’d be overpromising if I said I could do something about the hordes of tourists (sorry! 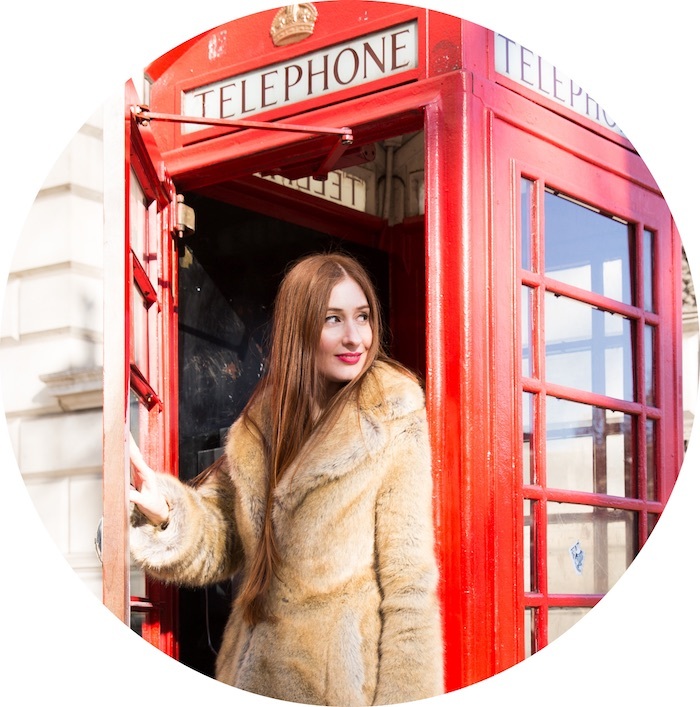 ), what I can do is help you decide where to go with my list of best European summer holiday destinations for 2018. 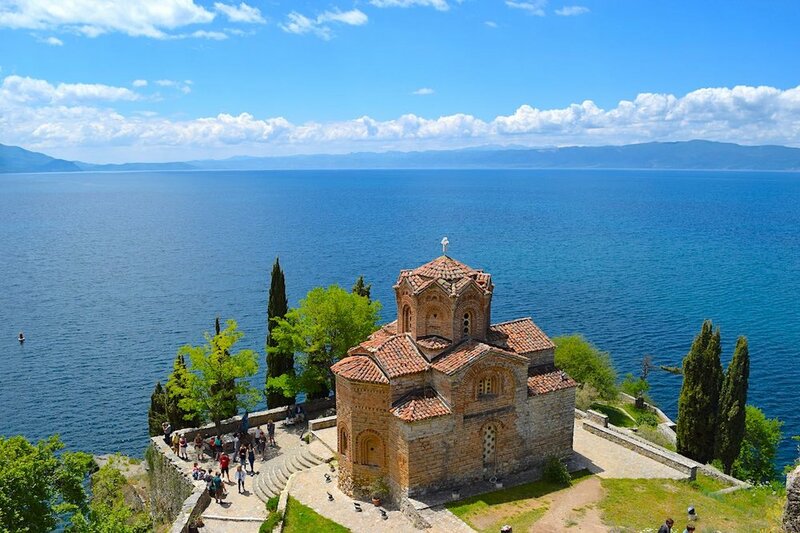 The Church of St. John at Kaneo in ohrid...is this not the most beautiful view? I’m going to take a punt and guess that Macedonia isn’t, and has probably never been, at the top of your bucket list. But hopefully that’s about to change. 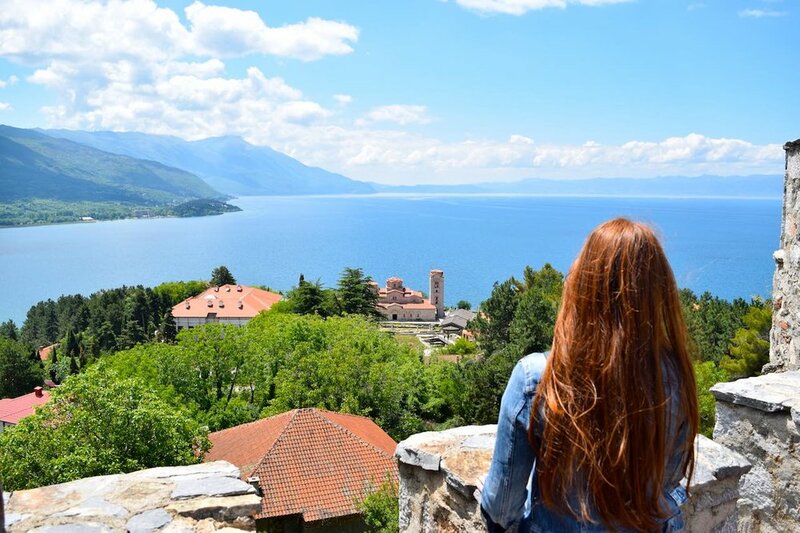 In Macedonia’s south lies one of the most breathtakingly beautiful, picture perfect places I’ve ever been to and one of Europe’s last best-kept secrets as far as I’m concerned: Lake Ohrid. This pristine, ancient lake, framed by mountains is one of Europe’s oldest, deepest and most magnificent. If you’re into culture and history, Ohrid is one of the oldest human settlements in Europe, boasting a reconstructed stilted village from the Bronze Age, the world’s oldest Slav monastery, and some of the best-preserved and most complete Byzantine-style architecture and icons in Europe. It is also said to have 365 churches – one for every day of the year – including the Church of St. John at Kaneo, which sits on a cliff overlooking the lake, creating a vista so stunning, it’ll make you weak at the knees. Ohrid is one of the cheapest places I’ve visited in Europe, with Airbnb apartments starting from just $15 USD per night (no I’m not joking). There are also direct flights for some major European cities including London, Basel and Vienna. So, seriously, what are you waiting for? 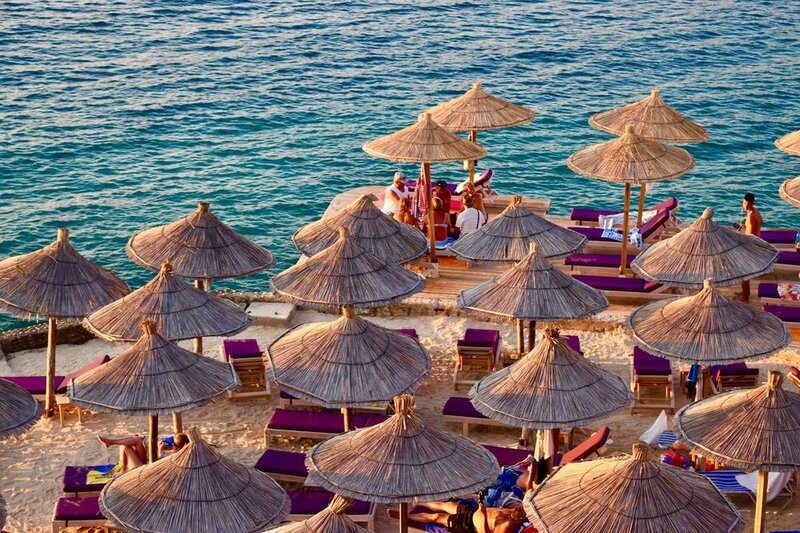 But those people are missing out, because there are plenty of reasons to visit the Albanian Riviera – its stunning beaches (that aren’t jam packed with other tourists), its world heritage sites, its weather, its food and of course the price – its extremely cheap. You know how some places you visit leave you with a feeling that you can’t shake? As if you took a piece of the place home with you when you left, or maybe you left a piece of yourself there… you can’t quite figure out which. What you do know is that you’ll forever be connected to that spot. Well, for me, Sardinia is one of those places. When I think of Sardinia, I think of its crystal clear azure waters and white sand, its rugged and winding coastline, its medieval, cobbled and colourful cities and the dog who gently barked at me when I got too close to the herd of sheep he was protecting on an otherwise deserted beach. I’ll let my photos of Sardinia do the talking, but if you want a relaxed road trip holiday, with out-of-this-world beaches, plenty of hiking and climbing if you’re that way inclined, colourfully photogenic and medieval cities and of course Italian hospitality and food, Sardinia is a must. My list of must-sees include: Gorropu Gorge, the Gulf of Orosei beaches (by boat), the medieval capital Cagliari, the Catalan gothic town of Alghero and colourful Bosa. Crete…be still my beating heart. 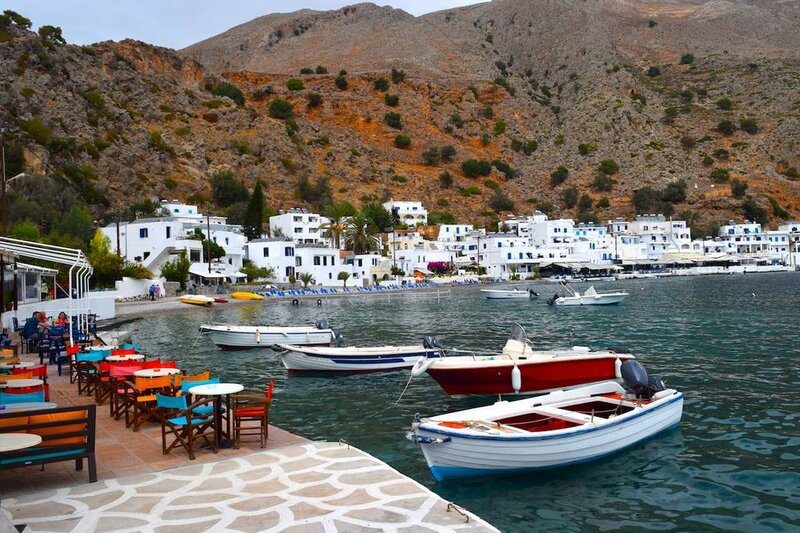 The unrivalled beaches, playing backgammon and drinking frappes in the little cove town you can only get to by boat, the Greek salads, gyros, yoghurt and honey, the sunsets. But perhaps not the driving 20 minutes in the dark, on unkempt roads to get cash out because the restaurant at your hotel doesn’t take card and you have no way to pay for the delicious meal you just ate. Crete will always be one of my favourite summer destinations. 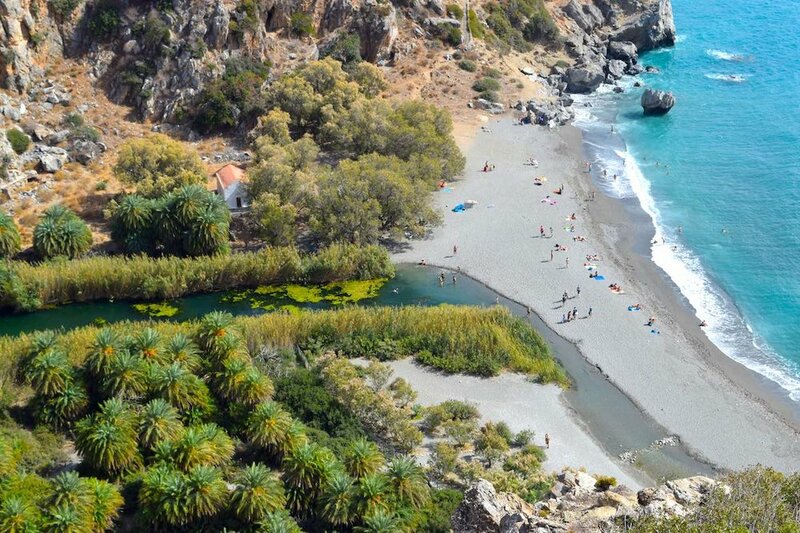 For the best experience, hire a car and road trip around the biggest Greek island for at least a week, making sure you make it to the towns of Chania, Rethymno, Loutro and the Elafonísi, Frangokástello, Balos and Falasarna beaches. Oia in Santorini has to be one of the most beautiful places in the world. I’m not even going to bore you with words. Just look at the photos. 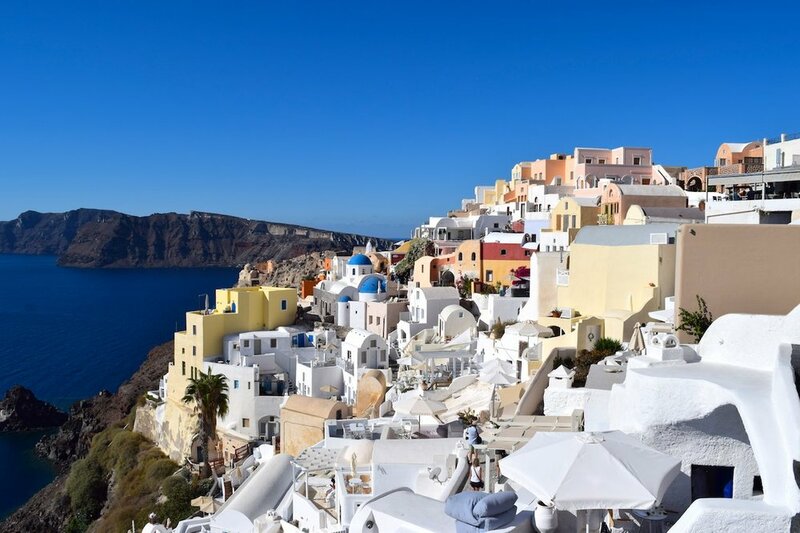 Everybody should go to Santorini at least once in their lifetime. My only tip is to go in the shoulder season to avoid fellow tourists, because believe me, they come in herds. It's also quite pricey so I'd suggest only staying a few nights. It's a mere couple of hours by ferry to Crete so you can always head there before or after - like we did. Imagine sitting in a hot sauna and then running outside in your bathers and diving into the Baltic Sea to cool off. Sound fun? Then Helsinki is the perfect summer destination for you. Helsinki is quirky, artistic, full of functional design and effortlessly cool. It’s no secret that the Finns are the world’s biggest consumers of coffee (come on, surely you've seen that stat somewhere? ), so as you can imagine its café culture is on point. Before I visited, I wasn't really sure what to expect of this city which seems to fly under the radar (or my radar at the very least! ), but now I’ve been it’s right up there with places I’d recommend for a perfect European weekend away, especially for couples or friends that want a super relaxed trip. If you like being (literally) surrounded by the past, great food and a bit of beach on the side, I can almost guarantee that you’ll love Split as much as I do. Mostar in Bosnia and Herzegovina is a tourist destination in its own right or an easy day trip from Split or Dubrovnik. If you can make it to Croatia in summer, I highly recommend making the effort to visit Mostar. Its most famous landmark is the old bridge, Stari Most. Originally built in 1566 during the height of the Ottoman Empire, it was completely destroyed during the Croat-Bosniak war in 1993 and rebuilt in 2004. Today it is a symbol of reconciliation, international cooperation and coexistence of different cultures, religions and ethnicities. And, an absolutely stunning one at that. Just look at that photo. Despite being pretty tiny by capital city standards, Ljubljana is full of life. When you walk around the old town in summer, you'll find al fresco restaurants full to the brim with diners, fountains, statues, Baroque churches, and cobbled lanes all surrounding the river Ljubljanica that winds through its centre.